On a cloudy but still inviting Sunday morning, I decided to check out this year’s Petfest which I missed out on last year.Walking through the gates of Holroyd Gardens, the sight of visitors embracing the spirit of the festival and bringing along their best friend. The only thing that seems to be missing from this day was Dr Harry. Indeed it was a day to walk with the animals, talk with the animals, Grunt and squeak and squawk with the animals… well you get the idea. 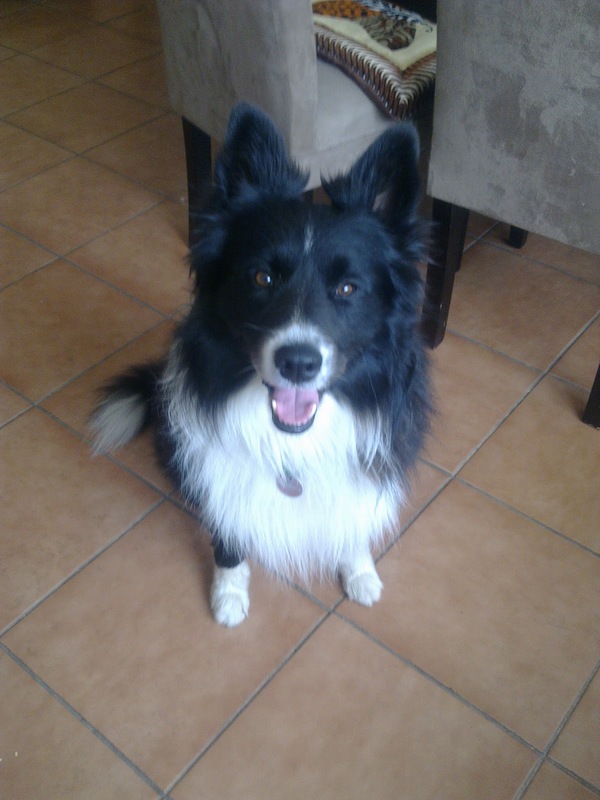 Festival Girl highlights:Watching the Flyball tournaments and trying to remember whihc border collie was the one I was originally routing for? Oh yer, it was the one with the black spot on the eye, or was it the one with one white foot. Anyway, man can they move. What’s even cuter is seeing the tiny puff balls trying to compete with the supersonic border collies and seeing the fluff on their tails whoosh as they collies speed by them. There’s so much energy in the air, I think I need to take a seat. Is this a slurpee or a Maltese Terrier? Cute stall called Gourmet Dog Biscuits and Treats. It was so cute couldnt resist buying a donut for my doggie. Be warned, as good as these look, they are PET FOOD ONLY and are all 100% perserviative free and colour free. So won’t make your pet’s tummy hurt. 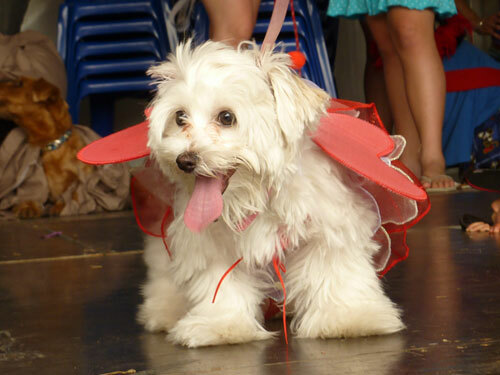 This event really highlight the importance and responsibilities of having pets and how much our pets mean to people. Gold coin donataion makes this really economical day out for the family and supports a great cause. Watching the little Jack Russell Terriers chase the fussy ferret thing was so cute. I tried to take some snaps, but they were to quick. Note to self, need to upgrade camera for fast action shots involving sprinting Jack Russell Terriers. Randomly walking around and seeing a walking Petstore come to life and suddenly I feel like Angelina Jolie with her kids wanting to adopt a breed from every continent. I don’t think this image does this GIANT dog justice. It was amazing to see in the flesh. Random doogie poops on the grass that owners forgot to pick up. Eww. Its called Poop and scoop people. If you’d like to visit this event, it is happening again Next year around the same time. 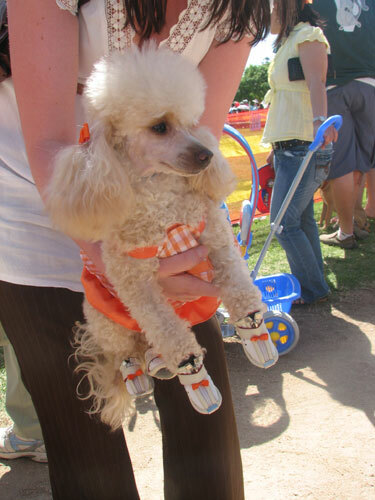 PetFest is on again! Holroyd City Council is organising the event for 2010 at Holroyd Gardens to promote responsible pet ownership. 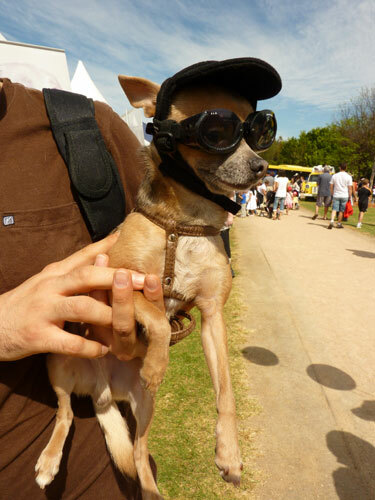 PetFest is a fun day out for pet lovers (and their pets) with a large number of stalls, displays, educational activities and information with free entertainment all day. It’s a fun day out with a good message; PetFest is all about promoting responsible pet ownership, and creating awareness in animal rescue. I don’t want to get to preachy, but there are all too many pets out there in animal adoption centres like the RSPCA waiting for an owner to take them home. 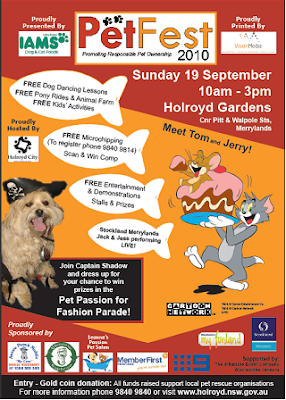 The best thing about the event is all proceeds raised on the day are donated to animal rescue and education for the Holroyd community. 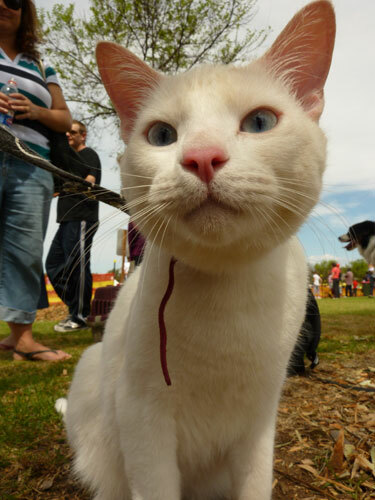 Entry Fee: Gold coin donation entry fee on the day to raise money for local pet rescue organisations. Don’t forget to bring your pet with you!